Digitization has been a trend for the last decade. Society tends to rely increasingly on digital tools to simplify daily routines. This phenomenon can also be seen throughout the business landscape. Consequently businesses insist on mobility in day-to-day processes. To meet this demand, we offer our DynaRent Apps for field services. Picture a service engineer who visits many customers’ sites each day, servicing and maintaining your equipment that you have on rent. Aside from the paper trail of this daily routine, it is an inefficient method. 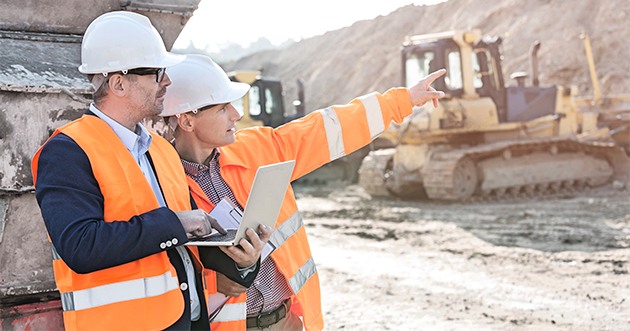 Seemingly easy tasks such as informing the back office of the status of a task or reaching your engineer to communicate a location change can turn into a burden because your engineers are continuously working or on the road. Furthermore integrating DynaRent PowerApps with Dynamics 365 can simplify this process. PowerApps for DynaRent – Going the Distance! With our DynaRent PowerApps for Mobility, your mobility issues are a thing of the past. DynaRent Apps are completely integrated with our DynaRent Solution Suite within Dynamics 365. We build apps that are tailored to the needs of our customers and are customizable to the extent that they suit virtually all business requirements. In addition, we design our apps to fulfil industry demand. Take our Service Engineer App, for example. Adopting DynaRent Apps in your organization is paramount to meeting increasing demands in relation to mobility. Not only can out-of-office resources remain in contact with your organization, they can literally and figuratively carry your business further – fulfilling the demand for mobility and going the distance. At the same time, it helps minimize risks by simplifying the processes, so back office employees can rest easy. Due to the increasing demand for mobility in our digital era, organizations need a complete solution. Offering the necessary benefits in combination with flexibility and customizability, DynaRent PowerApps is the way to satisfy this demand. As a result it is a powerful tool for your business. Curious whether DynaRent PowerApps can fit your business processes? Feel free to contact us below for a free mobility demonstration.